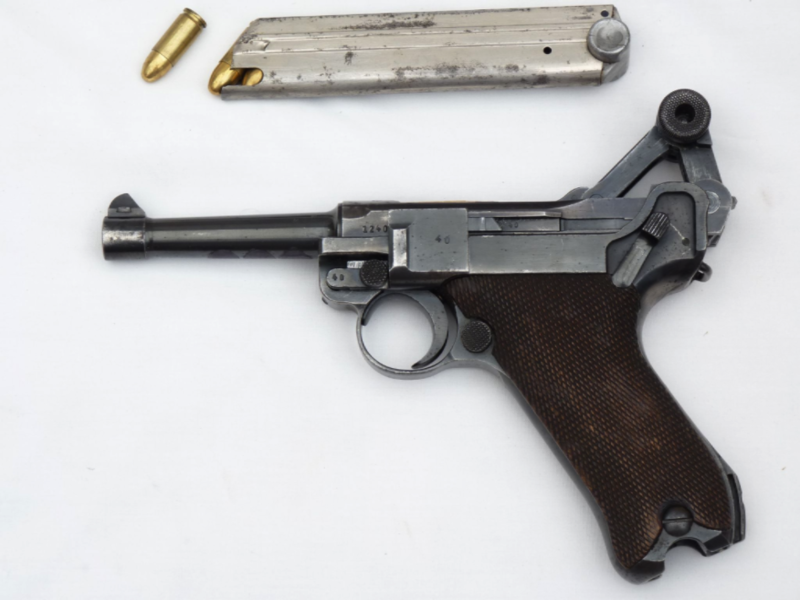 This is the world famous 9mm caliber Luger P08 automatic pistol, designed and patented by Georg J.Luger in 1898, and produced from 1900 by DWM, Deutsche Waffen und Munitionsfabriken, till the end of WW2. This particular example is in very good unrestored condition, maintaining most of its original blued finish, with just minor wear to the high points from putting in and out of a holster, as would be expected from a service weapon. 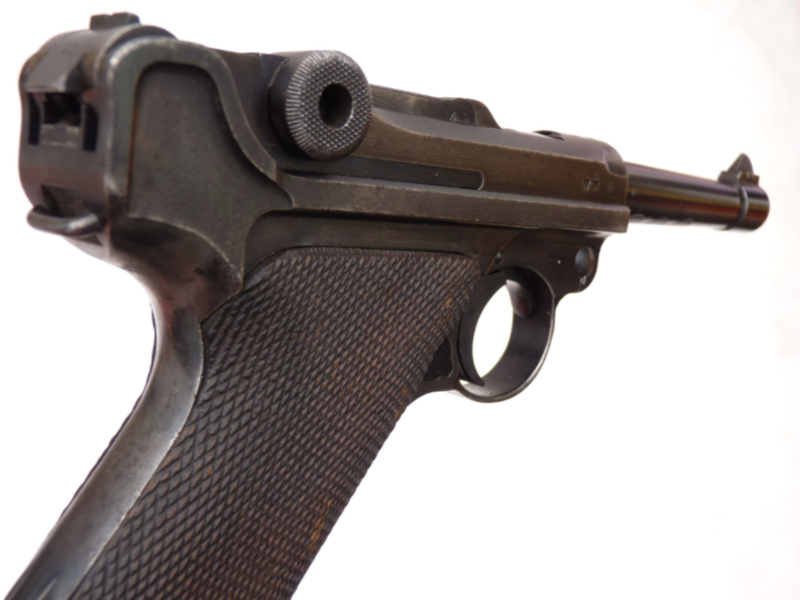 Excellent original wooden grips with matching serial numbers to pistol. 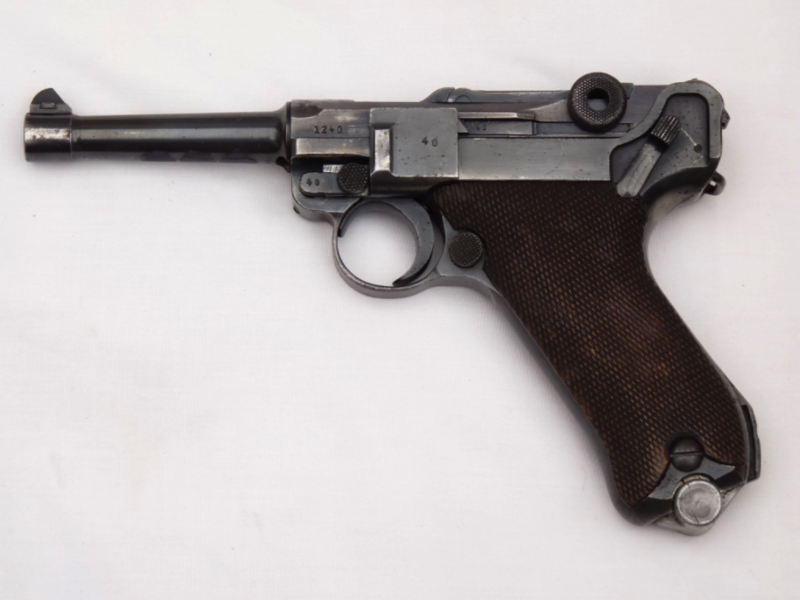 Code marked 'S/42' for Mauser, who made these pistols from 1930 till 1943, and also 1938 on the top of the breech for the year of manufacture, with good clear Waffenamt markings to slide and barrel. Also, attachments for lanyard and detachable stock. 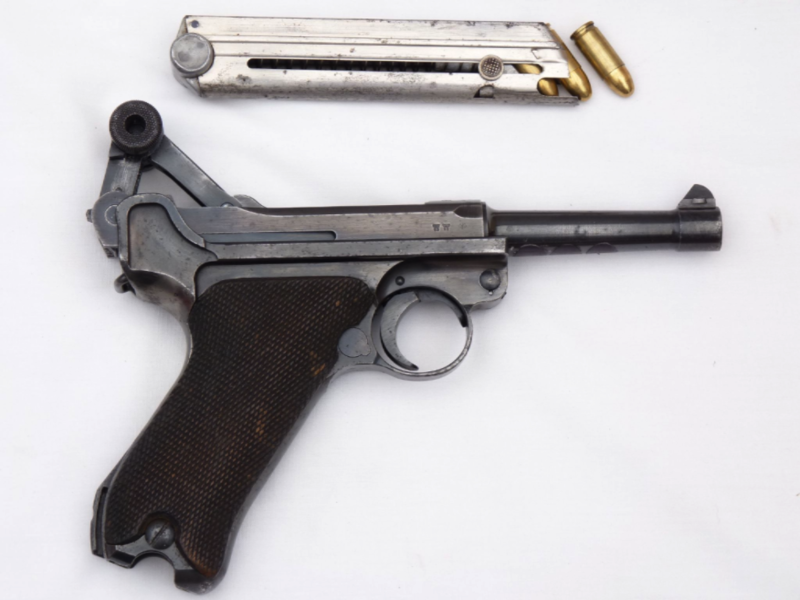 A wartime weapon in super original condition, and full matching numbers except the magazine, and that is nearly the same. 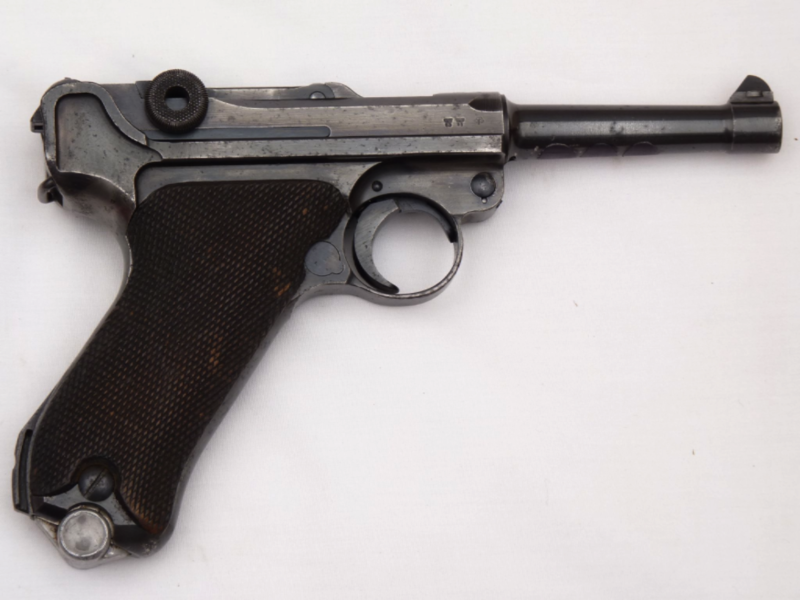 Full working action and comes with 3 inert 'Luger' marked rounds. Deactivated in the UK with Certificate to UK/EU specification.